Emissions: Emissions Override, California / (allows A Dealer In States That Require California Emissions - California, Connecticut, Delaware, Maryland, Massachusetts, New Jersey, New York, Oregon, Pennsylvania, Rhode Island Or Washington - To Order Federal Emissions For A Vehicle That Will Beregistered In A State That Has Federal Emission Requirements). Do Not Use For Vehicles That Will Be Registered In California, Connecticut, Delaware, Maryland, Massachusetts, New Jersey, New York, Oregon, Pennsylvania, Rhode Island Or Washington. Seat Type: Seats, Front Full-feature Leather-appointed Bucket. / Includes 12-way Power Driver And Front Passenger Seat Adjuster Including 4-way Power Lumbar, 2-position Driver Memory, Adjustable Head Restraints, (d07) Floor Console Storage Pockets And (k4c) Wireless Charging. 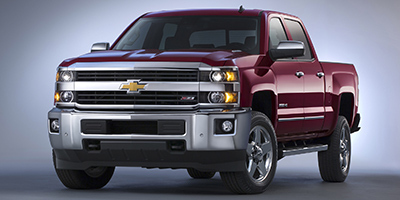 Additional Equipment: High Country Premium Package / Includes (uvd) Heated Leather-wrapped Steering Wheel, (y65) Driver Alert Package Content Includes Lane Departure Warning, Forward Collision Alert, Safety Alert Seat And (jf4) Power-adjustable Pedals, (includes (ay0) Single-stage Frontal Air Bags. Additional Equipment: Bi-fuel Compressed Natural Gas Cng Fuel System / (complete Vehicle And System Ready) Operates On Both Gasoline And Cng: Not E85 Compatible. 24 Gge Cng Tank Mounted In Forward End Of Bed. Additional Equipment: Lpo, Synthesis Silver Interior Trim Kit / Door Trim And Console Trim Parts. Ship Thru Codes: Ship Thru, Produced In Ft. Wayne Assembly And Shipped To Brand Fx Body Company, In Fairmount, In. Returned To Ft. Wayne Assembly For Shipping To Final Destination. Ship Thru Codes: Ship Thru, Produced In Ft. Wayne Assembly And Shipped To Buckey Truck Equipment In Columbus, Oh. Returned To Ft. Wayne Assembly For Shipping To Final Destination.